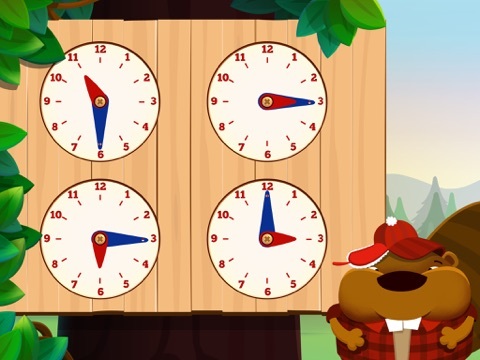 While using Tic Toc Time your child will learn the basics of telling time by using a unique teaching approach which includes the use of a compass, sun dial and other fun activities. Information regarding each activity is included in the parent’s section. It provides a good amount of information without being time consuming. 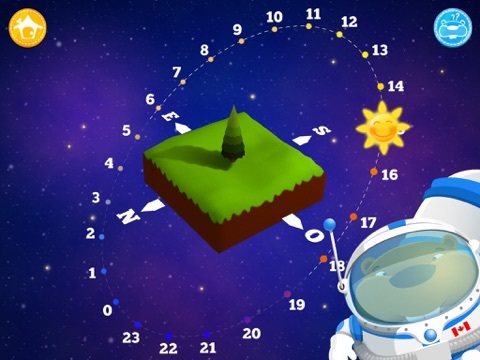 Ideally, the load time for each activity would be reduced to help the flow of the app. This delay may vary by device. Graphics could be finessed a bit, too, for an app in this price point. Each of the activities included has an educational purpose. 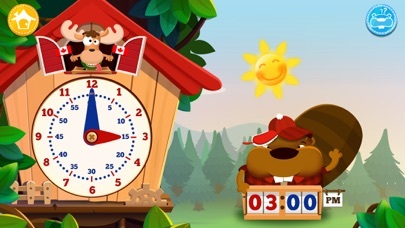 Activities range from learning about a compass, sun dial, shadows, to the basic concepts of a clock for telling time. 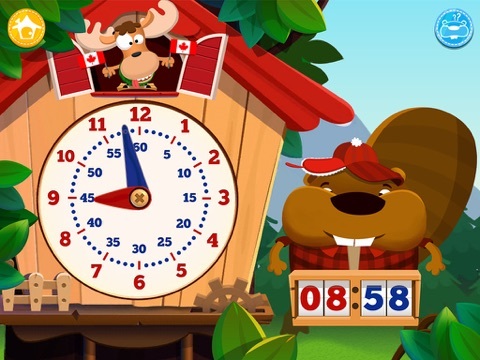 The information is presented in an entertaining and positive environment hosted by a family of beavers from Canada. 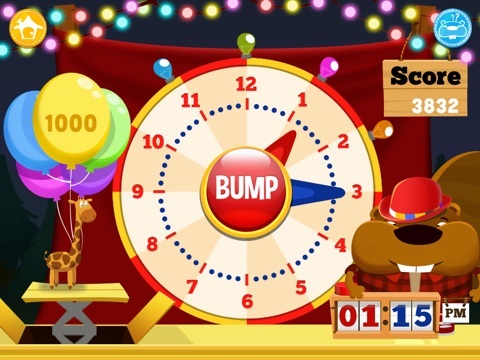 The activities can be played and replayed in any order and as many times as desired; however, to understand the teaching method it would be best to proceed through the activities in order the first time through the app. 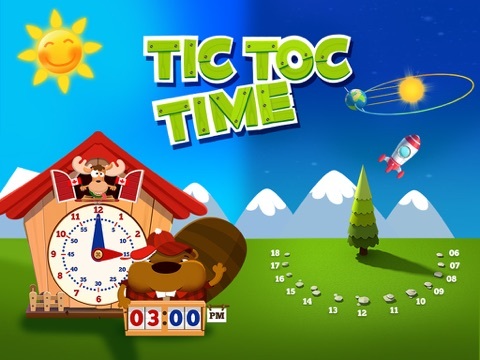 Tic Toc Time presents the material in an entertaining way that will keep the kids interest. 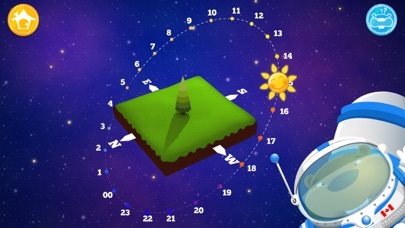 Rewards are offered at the completion of each activity. 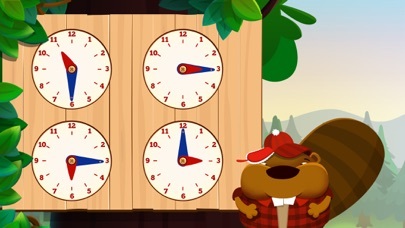 Considering that Tic Toc Time covers one concept, telling time, it is on the higher end of the price range. While this app does have a protected parent’s section, the app offers the ability to use your Facebook or e-mail to sign in. Logins are protected, but placed in such a way that children may try to access them. 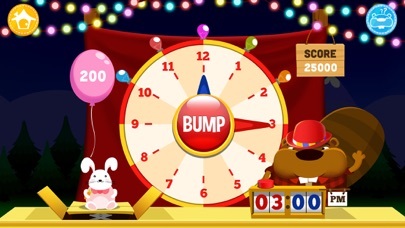 There is an option to play without using Facebook or e-mail. 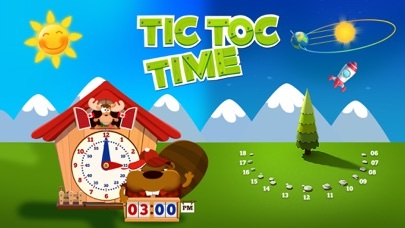 Tic Toc Time does not contain in-app purchases or ads.